Yet another logon that I have created from scratch. 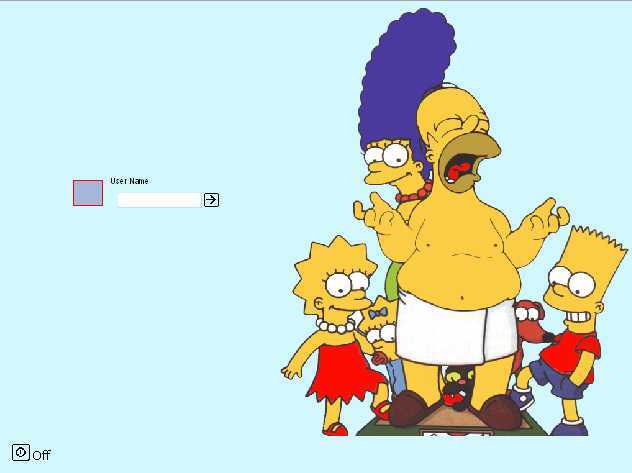 I hope you like the Simpsons :) The preview is not true to the logon, the whole picture of the Simpsons is visible when installed. roadrunnerm sorry to see you got a low rating..but keep up the good work. thx, this is the same thing that happened to my other simpsons logon, it took about a week and a half before the downloads really started, i just wish i knew why!!! Hello I would just like to say "I LOVE IT!" you are amazing! As far as the amount downloaded, give it time. Reason for low downloads may be your description, created from scratch, this implies that the Simpsons image has been hand drawn by you. "I LOVE IT!" you are amazing! What is amazing about downloading then altering a wallpaper that is copyrighted by Fox Studios. It is not copyrighted since I made it myself. Yes, I did base it off a copyrighted wallpaper, but in no way is it the same.